The report found that the pervasive use of Airbnb in New York City is likely the indirect causation of incredibly low residential vacancy rates and rising rental rates. 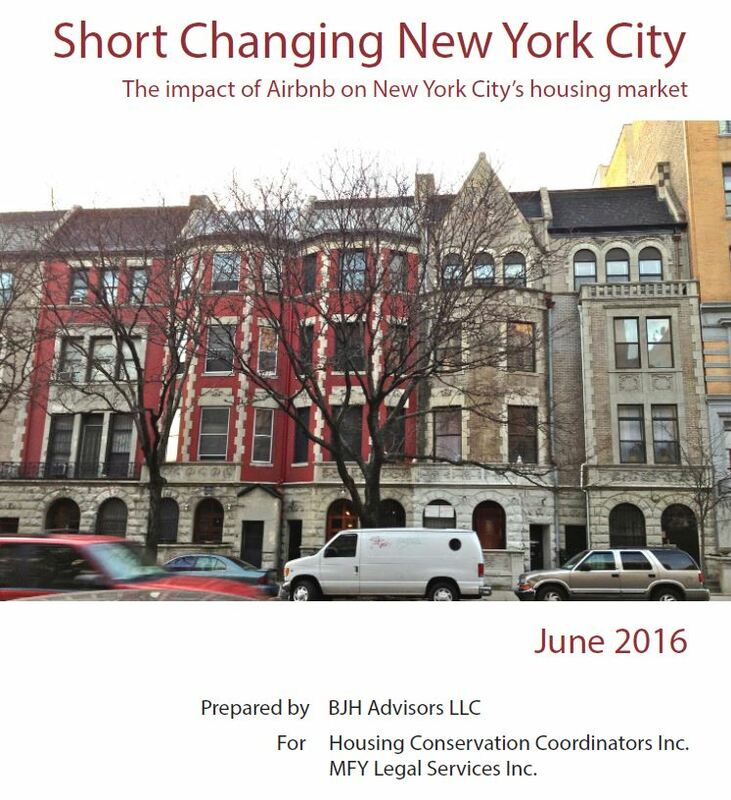 In June of 2016, housing advocacy groups Housing Conservation Coordinators and MFY Legal Service jointly issued a study on the impact Airbnb and similar short-term rental-facilitating platforms have on the traditional housing market in New York City. While there are several companies connecting short-term rental apartments with people seeking such accommodations, the biggest player in the market right now is undoubtedly Airbnb. By analyzing the data collected in 2015 on Airdna, an online platform that collects and organizes data on the usage of Airbnb, the report indicated that more than 8,000 units on Airbnb—which is approximately 16 percent of all New York City listings—are “Impact Listings,” which are the listings expected to have the most direct effect on the reduced amount of residential units available to be rented out. 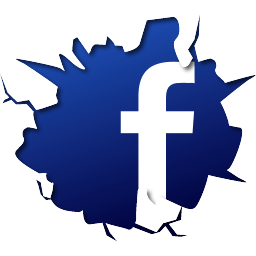 Impact Listings are those which advertise an entire residential unit for periods of less than 30 days at a time, are reserved on more than one occasion per month, and remain unreserved for at least one day per month. Further, impact units must be “commercial,” which is defined as those units meeting one of two criteria: they are listed either for at least three months of the year by hosts offering several individual units on Airbnb, or for at least half of the year as the only unit offered by their respective hosts. Of the more than 8,000 Impact Listings on Airbnb, half of the listings represent one of several apartment units maintained by a single host on Airbnb. The report concluded that there would be a 10 percent raise in the amount of vacant apartments available Citywide if the Impact Listings were removed from Airbnb and put back into the rental market, which would in turn raise the vacancy rate from approximately 3.5 percent to four percent. Additionally, the report found that the “commercial”—as defined by the report—usage of Airbnb accounts for more than 30 percent of the units listed on the site. The aggregate of the Impact listings available on Airbnb is likely to exceed $27 million per month in short-term rental earnings. The report found that more than 90 percent of the available units listed on Airbnb in the City are located in Manhattan and Brooklyn, with more than half of Airbnb’s listings Citywide located in five “macro-neighborhoods: East Village/Lower East Side, Chelsea/Hell’s Kitchen, West Village/Greenwich Village/SoHo, Williamsburg/Greenpoint/Bushwick, and Bedford Stuyvesant/Crown Heights.” In all five of these “macro-neighborhoods,” the report found that monthly revenue raised on Airbnb for a unit was much higher than the average monthly rental price per unit, which incentivizes participation on Airbnb and similar sites. According to the report, as apartments are increasingly made available for short-term rental periods rather than monthly, annual, or longer rental periods, the average price of residential units across the City will increase proportionally in price across the City. The correlation between the spike in the availability of Impact Listings and the price of long-term rental units indicates that if the Impact Listings were to be returned to the residential rental market, the average rental price per unit would decrease Citywide. The report comes on the heels of the State Legislature passing a bill to ban online advertisements of illegal short-term apartment rentals. For CityLand’s past coverage on the legislative ban, click here. Three colliding problems: (1) a significant demand for short term listings with no place to go except airbnb; (2) a significant number of apartments/rooms commanding a higher income per unit per night using short term rentals than regular longer term lease rentals; and (3) a significant demand for longer term lease rentals at prices below the short term per unit per night rate. Is this just a case of supply versus demand with supply meeting demand needs where the price point is? If the short term rentals are restricted, where will that demand go? Who are those occupants? We need more apartments for rent at the price points stated in airbnb to soak up that demand and eventually release the “extra” units at the lower price point. Exceptions are the rent-controlled and rent-stabilized units whose participation in the short-term market are illegal. And use Habitat and tenants to renovate apartment interiors of NYCHA. Pros can do the infrastructure! Preserve, preserve, preserve, renovate renovate, renovate, and build, build, build middle and low-income class housing — no luxury. There is too much luxury housing sitting idle. No more! Rent control is a fools errand from start to finish. Let the market work.